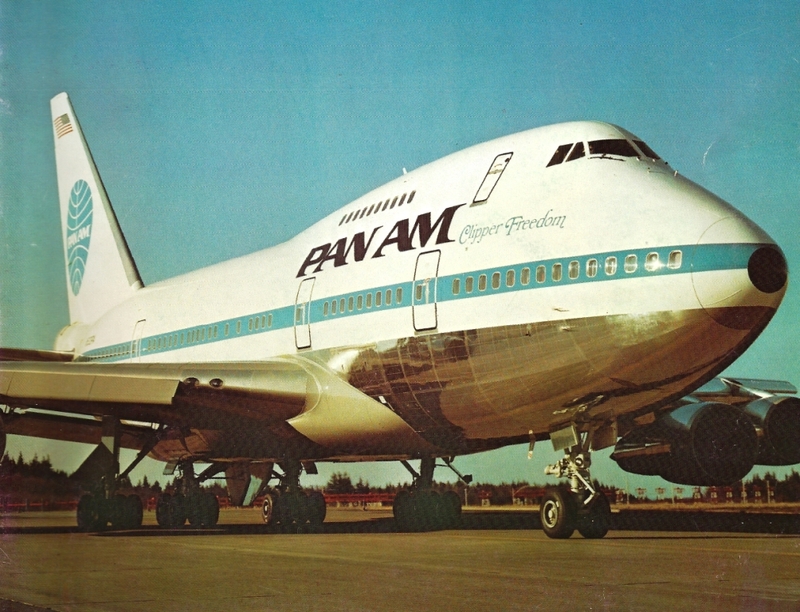 Pan Am was convinced there was a demand in the New York-Tokyo market for such an aircraft and persuaded Boeing to produce a shortened version of the 747 with the range for that route. Iran Air was also looking for a high capacity airliner with sufficient range to cover its Tehran-New York route. What resulted was the Boeing 747SP. The SP could accommodate 230 passengers in a 3-class cabin to a maximum of 440 passengers in one class. Originally designated 747SB for “short body”, Boeing later changed the production designation to 747SP for “Special Performance”, reflecting the aircraft’s longer range and faster cruise speed. Pan Am was the launch customer, taking the first delivery, Clipper Freedom, on 5 March 1976. 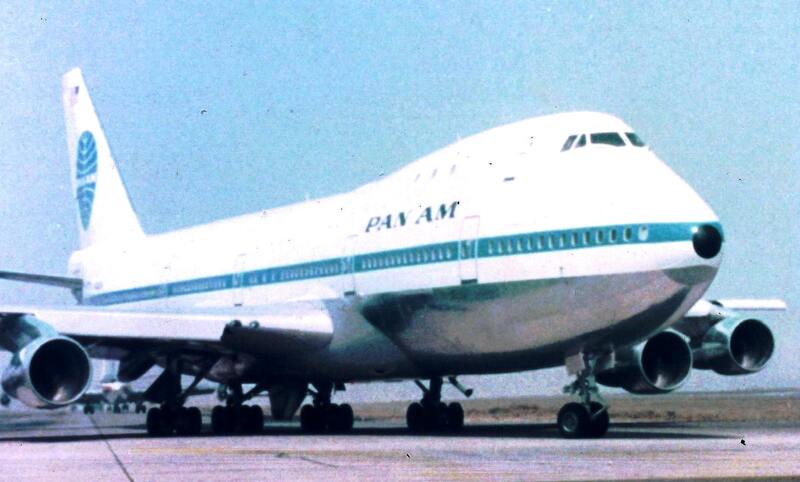 The 747SP first entered service on Pan Am’s New York-Tokyo route on 26 April 1976. It was later used on other long-haul routes, including New York-Dhahran, San Francisco-Hong Kong and Los Angeles-Sydney. Until the 747-400 entered service in 1989, the SP was the longest-range airliner available. Despite its technical achievements, the SP never sold as well as Boeing hoped. The cost of fuel in the mid-1970s to the early 1980s, the SP’s heavy wings, expensive cost, reduced capacity and the increased ranges of forthcoming airliners were some of the many factors that contributed to its low sales. Some of the engineering work on the 747SP, however, was reused with the development of the 747-300 and 747-400 permitting them to fly the same range as the SP with the added bonus of extra seats and cargo capacity. The aircraft was later acquired by VIP, government and corporate customers. At the end, a total of 45 aircraft were sold. 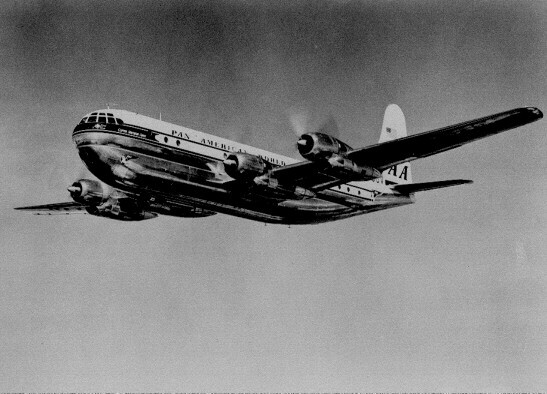 Pan Am took delivery of eleven and disposed of them with the sale of its Pacific Routes to United Airlines. 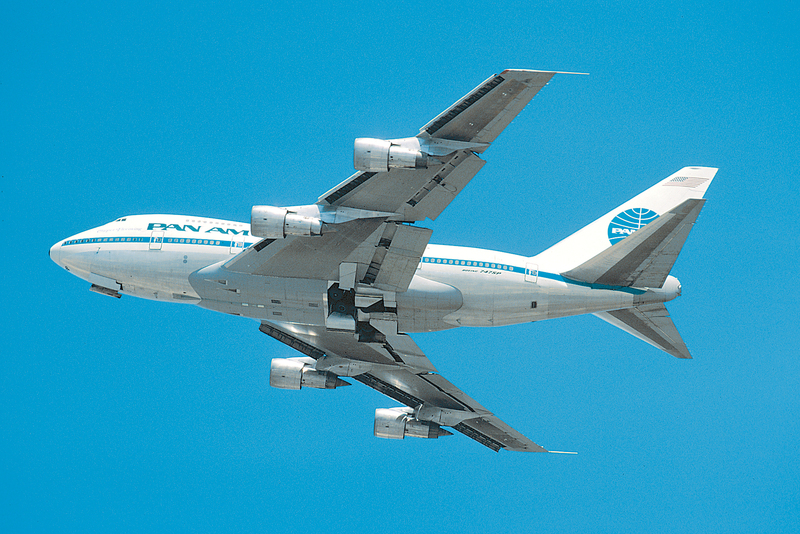 While in service for Pan Am, the 747SP made two record-setting round-the-world flights. From 1-3 May 1976 the “Liberty Bell Express” flew around the world from New York with two stops, Delhi and Tokyo. The flight took 46 hours and 26 minutes over 23,137 miles. 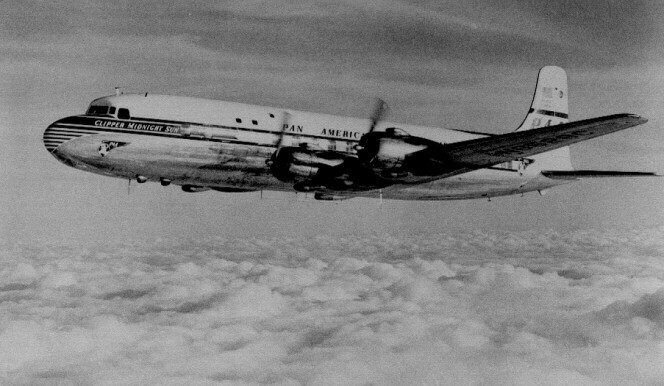 And from 28-30 October, celebrating Pan Am’s 50th Anniversary, “Pan Am Flight 50” flew around the world over both the North and South Pole with stops in London, Cape Town and Auckland. The flight took 54 hours, 7 minutes and 12 seconds and covered 26,706 miles. 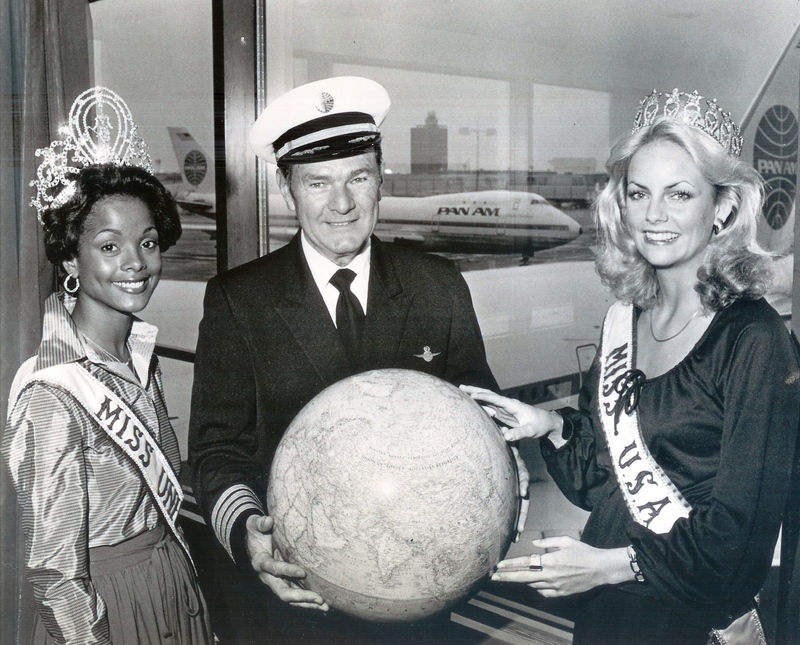 (left to right) Janelle Penny Commissiong, the reigning Miss Universe; Captain Walter H. Mullikin, Vice President and Chief Pilot; Kimberly Louise Tomes, Miss USA. 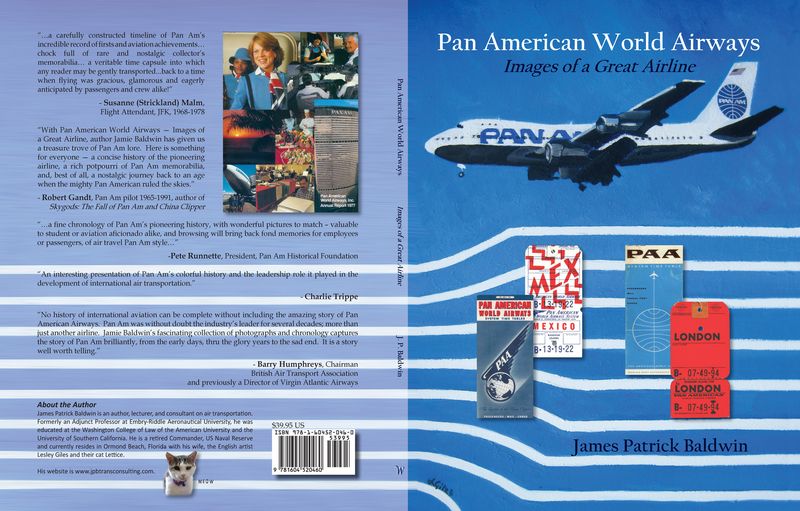 Pam Hanlon’s recollections of her experiences at Pan Am is one of 71 stories in Pan American World Airways – Aviation history Through the Words of its People written by the people of Pan Am who played important roles in many of the important events in Pan Am’s history. The book is published by BlueWaterPress. Also, in the “B747SP Website“, retired Pan Am pilot Lee Nelson contributed a great story in “A 747SP Love Affair”. This website is dedicated to the 747SP and contains a potuporri of information about the “cutest airplane”.